Last updated by kprzemek on 2019-03-29. Originally submitted by Anonymous on 2011-10-11. The syntax reading group is a series of monthly meetings where faculty and students present their completed or ongoing work. If you would like to present at Syn & Sin, contact the webleader. Meetings are organised by the Department of Translation Studies. They create an opportunity for students and WA staff members to discuss various aspects of Translation Studies, Interpreting Studies, audio-visual translation and community interpreting. Guest speakers are invited to each meeting. They include both WA students and staff members, as well as external guests (representing various universities and organisations, such as the International Association of Translation and Intercultural Studies and the EU Directorate General for Interpretation). Presentations are followed by a Q&A session and discussion. Spotkania dla studentów i pracowników WA organizuje Zakład Studiów nad Przekładem. Są one okazją do omówienia różnych aspektów badań nad przekładem pisemnym, ustnym, tłumaczeniem audiowizualnym i środowiskowym. Na każde spotkanie zapraszani są prelegenci – zarówno studenci i pracownicy WA, jak i przedstawiciele różnych uczelni i organizacji, np. Międzynarodowego Stowarzyszenia Przekładoznawstwa i Badań Interkulturowych (IATIS) lub Dyrekcji Generalnej UE ds. Tłumaczeń Ustnych. Po prezentacji goście odpowiadają na pytania i dyskutują z uczestnikami spotkania. The main objective of the Dutch Studies Reading Group (known as "Oranjes") is to enhance cultural awareness regarding the Low Countries among our students and everyone who is interested. We want to broaden our knowledge of the customs and traditions shared across the Dutch-speaking communities. Furthermore, we plan to inspire our fellow students to dwell upon the cultural aspects of the Low Countries by providing them with information about events related to Belgium and Holland and organizing activities such as watching movies, reading poetry, or visiting art exhibitions. Głównym celem Koła Naukowego Studentów Niderlandystyki (znanego jako "Oranjes") jest szerzenie wiedzy o kulturze Niderlandów wśród naszych studentów i innych zainteresowanych. Chcemy poszerzać wiedzę o zwyczajach i tradycjach występujących w krajach niderlandzkojęzycznych. Planujemy zainspirować innych studentów do włączenia się w poznawanie aspektów kultury Niderlandów, dostarczając im informacji o wydarzeniach związanych z Belgią i Holandią oraz organizując zajęcia takie, jak oglądanie filmów, czytanie poezji czy odwiedzanie wystaw dzieł sztuki. PSYCHOL is a club for everybody interested in issues related to psycholinguistc and neurolinguistic aspects of language processing. Some of the topics discussed so far have included: the structure of the bilingual and multilingual mental lexicon, the processing of language in clinically impaired populations (in autistic individuals and aphasic patients), the neurological underpinnings of bilingualism, as well as various methodologies of psycholinguistic and neurolinguistic experimentation. The meetings have featured presentations by members of the group, discussions and debates in a friendly atmosphere. They have provided opportunities to report on experiments, suggest new research proposals or simply exchange ideas and opinions among people who share an interest in language acquisition and processing. In the meetings to come we encourage student presentations and we would like to broaden the scope of issues addressed so as to include e.g. psycholinguistic aspects of interpreting and translation, metalinguistic awareness, effects of bilingualism on L1, processing of figurative language or task switching in bilingual speakers. Boasting a long tradition at WA (going back to the late 1980s), Phon&Phon is the phonology section of Koło Naukowe Anglistów, organised by the Department of Contemporary English Language. The meetings encompass a wide range of topics within broadly construed phonetics and phonology. Researchers and students (mainly Ph.D and M.A) from the Faculty of English, as well as external guests, present their current research. Each presentation is approximately one hour long, followed by a discussion providing speakers with useful feedback. Occasionally, Phon&Phon meetings take the form of poster sessions presenting posters prepared by our colleagues and accepted/presented at international linguistic conferences. Phon&Phon is supervised by prof. Katarzyna Dziubalska-Kołaczyk and dr Małgorzata Kul (who is responsible for posting news and announcements concerning the meetings). Active participation in the meetings constitutes a very important step towards obtaining a Ph.D. scholarship at WA. Lady Oisille, one of the characters from Marguerite de Navarre's The Heptamenron (deNavarre 2004: 66) said: "when you ask me to show you a pastime that is capable of delivering you from your boredom and your sorrow, you are asking me to do something that I find very difficult. All my life I have searched for a remedy, and I have found only one - (...) reading (...)". The members of the Department of English Literature and Literary Linguistics share this opinion. That is why, each month, usually on a Thursday, we hold a literary meeting for everyone interested in English literature. The Department of English Literature and Literary Linguistics tries to cater for all literary tastes, particularly those of students of literature at WA. The themes of our literary gatherings are not only beneficial and student-friendly but, most importantly, they are eclectic and up-to-date. Using various modes of presentation, from slide-shows to movie-sessions, we try to react to the latest events in the world of literature (e.g. Doris Lessing's Nobel Prize). Moreover, being aware of the multi-disciplinarity of literary studies, we also take a literary look at architecture, geography and history. Since our meetings are often bilingual, we cordially invite everyone to a democratic, supranational discussion. After all, literature knows no boundaries... .
Pani Oisille, jedna z bohaterek "Heptameronu" Marguerite de Navarre, powiedziała: "Gdy prosicie, bym pokazała wam sposób na uniknięcie nudy i smutku, prosicie mnie o coś naprawdę trudnego. Całe życie szukałam takiego lekarstwa i znalazłam tylko jedno: czytanie (...)" (de Navarre 2004: 66). Członkowie Zakładu Literatury Angielskiej i Lingwistyki Literackiej podzielają tę opinię. Dlatego też, każdego miesiąca, zazwyczaj w czwartek, organizujemy spotkania literackie (koła literackie) dla wszystkich zainteresowanych literaturą angielską. 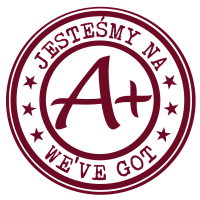 Zakład Literatury Angielskiej i Lingwistyki Literackiej stara się trafić we wszelkie gusta literackie, zwłaszcza te studentów literatury w WA. Tematy naszych spotkań wybieramy nie tylko z uwagą na korzyść i "przyjazność" studenckim potrzebom, ale przede wszystkim staramy się być eklektyczni i "na czasie". Używając wielu metod prezentacji - przez pokazy multimedialne po seanse filmowe - reagujemy na najnowsze wydarzenia ze świata literatury (np. : nagroda Nobla dla Doris Lessing). Ponadto, będąc świadomymi interdyscyplinarności studiów nad literaturą, literacko spoglądamy również na architekturę, geografię i historię. Ponieważ bardzo często nasze spotkania są dwujęzyczne, serdecznie zapraszamy wszystkich do demokratycznej, ponadnarodowej dyskusji. Przecież literatura nie zna granic... .
Love Lit Club (aka LoveLitClub or LLC) is a literary club for students at WA UAM in Poznań. If you love books join us!!! Visit us on Facebook at https://www.facebook.com/pages/Love-Lit-Club-LLC/109802022391579 . The meetings are also an occasion to exchange news on recent conferences and workshops attended by members of the Department of Lexicography and Lexicology or WA students. Anyone with an interesting presentation pertaining to lexicography or lexicology is welcome to submit their proposal to prof. Arleta Adamska-Sałaciak. All meetings are open and everyone is welcome to join us. (c) Wykład Otwarty, w ramach którego pracownicy Zakładu, studenci i zaproszeni goście spoza WA przedstawiają rezultaty swoich badań historycznojęzykoznawczych (spotkania odbywają się raz w miesiącu). Wszystkie spotkania mają charakter otwarty. American Literature Reading Club, organized by the Department of American Literature, is meant to broaden students’ knowledge of US literature and culture and to provide them with a friendly venue to share and shape their literary interests. The Club meets once a month and each meeting is devoted to a different text representing the American literary canon. The selection covers a wide spectrum of formal and thematic concerns and embraces the cultural and ethnic diversity of the United States. Each discussion is moderated by a different teacher, which ensures a greater variety of approaches and more dynamic interactions. The relaxed atmosphere of the meetings and their open character is meant to encourage students’ independent thinking and inspire their further literary pursuits in the field of American literature. The Club can also be found on Facebook: http://www.facebook.com/groups/163363007028198/. Everybody is welcome! BLASt (Book Lovers Among Students) is a student section of the American Literature Reading Club. The meetings are hosted by and addressed to students. Visit the blog at: http://bookloversamongstudents.blogspot.com. Contact at: blast.wa.uam@gmail.com, or on Facebook. Koło Czytelników Literatury Amerykańskiej, prowadzone przez Zakład Literatury Amerykańskiej w WA, jest adresowane do studentów pragnących poszerzyć wiedzę na temat literatury amerykańskiej. Naszym celem jest zapoznanie studentów z najciekawszymi zjawiskami w literaturze i kulturze amerykańskiej. Wybrane teksty, które uzupełniają kanon omawiany na zajęciach kursowych, pokazują etniczne, kulturowe i formalne bogactwo literatury Stanów Zjednoczonych. Każde spotkanie prowadzone jest przez innego pracownika Zakładu Literatury Amerykańskiej, co zwiększa dynamikę i różnorodność dyskusji. Spotkania koła odbywają się raz w miesiącu i są otwarte dla wszystkich studentów i pracowników. Poprzez otwarty charakter dyskusji zachęcamy studentów do własnych poszukiwań i odkryć badawczych w obszarze literatury amerykańskiej. Klub ma swoją stronę na Facebooku: http://www.facebook.com/groups/163363007028198/. Zapraszamy wszystkich chętnych! The meetings of CLIP Reading Group, organized by the Center for Canadian Literature, are devoted to open, text-based discussions and presentations on Canadian literature of different periods and genres. We also organise events, such as the Maple Syrup Day, to provide a venue for those interested in Canada to learn and talk about Canadian culture. The meetings and events are moderated by staff members and students passionate about Canada. Come and join us! Look for Canadian Literature in Perspective (CLiP) on Facebook ! Spotkania koła miłośników literatury i kultury kanadyjskiej, organizowane przez Pracownię Literatury Kanadyjskiej, poświęcone są rożnorodnym dyskusjom nad tekstami literatury i kultury kanadyjskiej róznych okresów, epok i gatunków. Organizujemy także wydarzenia kulturalne, takie jak Dzień Syropu Klonowego, które tworzą przestrzeń do dyskusji dla wszystkich zainteresowanych Kanadą. Spotkania prowadzone są przez pracowników Pracowni a także studentów zainteresowanych Kanadą. Zapraszamy wszystkich chętnych! Znajdź CLiP na Facebooku i dołącz do nas: Canadian Literature in Perspective (CLiP) on Facebook ! This reading group brings together researchers and students of various disciplines including Linguistics, Political Sciences, Social Sciences, Communication studies and Journalism studies who are interested in applying critically discursive analytical techniques to issues of politics and the media. Meetings are an inter-disciplinary space for open critical debate which hopes to facilitate scholarly self-development, which in turn may assist academic output. The group has three aims: firstly to investigate and discuss new approaches to Critical Discourse Analysis (CDA), secondly to apply CDA approaches to the analysis of political and media generated talk and text and finally, to provide an opportunity for participants to present findings of empirical or theoretical research in this field. Potential results of the group’s activity includes collaborative work leading to submissions to leading journals in the field as well as participation in national and international conferences. The reading group is open to faculty staff and students both undergraduate and graduate. Koło Naukowe LANCOM łączy/skupia badaczy i studentów wywodzących się z różnych dyscyplin humanistycznych - takich jak językoznawstwo, politologia, dziennikarstwo, czy też nauki o komunikacji - którzy są zainteresowani wykorzystaniem i zastosowaniem metod krytycznych w analizie polityki i mediów. Spotkania Koła stwarzają możliwości do interdyscyplinarnej, otwartej, krytycznej dyskusji, która ma pomóc uczestnikom w samodzielnym rozwoju naukowym. Cel działalność Koła Naukowego LANCOM można scharakteryzować trojako: po pierwsze, śledzenie i analiza nowych metod rozwijanych w Krytycznej Analizie Dyskursu (KAD), po wtóre, zastosowanie metod KAD do analizy komunikatów politycznych i medialnych, i po trzecie, prezentowanie rezultatów badań empirycznych i teoretycznych. Działalność Koła Naukowego ma pomóc uczestnikom w wymianie myśli i nawiązaniu współpracy, które zaowocują publikacją artykułów w wiodących czasopismach z dziedziny jak również udziałem w konferencjach krajowych i międzynarodowych. Koło Naukowe otwarte jest dla pracowników i studentów na wszystkich poziomach. LaGeS is a forum set up to discuss current issues in the field of Language, Gender and Sexuality. We view both gender and sexuality as socially constructed phenomena, which are prone to constant change and alteration. This makes language one of the main tools which we use to construct ourselves as gendered and sexualized beings. The words that best characterize our meetings are ‘interdisciplinarity’ and ‘open-mindedness’. We aim to provide a platform for open discussions bringing together both established and beginning academics in this fascinating post-structuralist subfield of linguistics. The LaGeS meetings are devoted to presenting research results of WA students, PhD students and faculty staff as well as discussing most up-to-date literature falling in the scope of language & gender & sexuality. Although group members are mostly faculty staff and graduate students, we also invite non-linguistic scholars (or people outside the academia) who are similarly working on issues that bear relevance to gender and sexuality as salient social categories. We hope that our meetings will result in collaboratively authored papers which will be submitted to leading journals. Please contact Łukasz Woźniakowski to sign up to our mailing list. 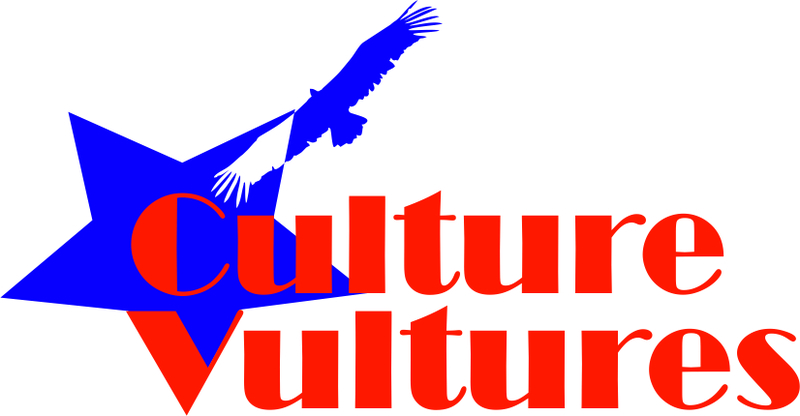 The main objective of the Culture Vultures reading group, organized by the Department of Polish-British Cultural Relations, is to create a friendly venue for discussing various aspects of widely understood culture of English-speaking countries. Among others, we will consider issues related to identity, ethnicity, politics, art and cultural life. We welcome WA students, staff, and all interested to share and broaden their knowledge during our monthly Thursday meetings. Głównym celem koła kulturoznawczego Culture Vultures, prowadzonego przez Zakład Studiów Kulturowych Polsko-Anglosaskich, jest stworzenie przyjaznego forum do dyskusji różnych aspektów szeroko rozumianej kultury krajów angielskiego obszaru językowego. Będziemy rozważać min. zagadnienia związane z tożsamością, etnicznością, polityką, sztuką i życiem kulturowym. Zapraszamy studentów WA, wykładowców i wszystkich zainteresowanych do podzielenia się i poszerzenia swojej wiedzy podczas naszych comiesięcznych czwartkowych spotkań. The REAL group is organized by the Department of Applied English Linguistics and Language Teaching and its aim is to provide an opportunity to engage in discussions about topics in contemporary learning and teaching English as a foreign language. In the meetings, which take place approximately once a month, theoretical, practical and empirical perspectives on current ELT-related issues are presented and discussed. The presenters have been WA staff members, PhD students, and guests from other institutions, but BA and MA students’ presentations on their points of interest are also welcome. The Celtic Reading Group is organized by the Centre for Celtic Studies and aims to provide a friendly platform for discussion on a wide variety of topics within the area of Celtic Studies and matters connected with contemporary Celtic countries. The presenters have been staff and Ph.D. students of the Centre and guests from other institutions. We also invite MA and BA students to present on their points of interest. The meetings take place approximately once a month and are open to everyone interested in the topics discussed. To present at one of our meetings please contact dr Karolina Rosiak (karolka@wa.amu.edu.pl). TiP Reading Club aims to develop teacher trainees' competence and skills concerning teaching English as a foreign language. We want to achieve this aim by learning from experts in the field, practising teachers and from our own experiences. The meetings are planned once a month on Thursday afternoons and feature workshops/presentations conducted by experienced practitioners. We also welcome discussions on students' experiences from teaching practice and encourage the exchange of ideas that can work in an EFL classroom. During every meeting an article on contemporary EFL is presented for the participants to read and reflect on. If you want to become a better English teacher, join us! Koło Naukowe TiP ma na celu rozwój kompetencji studentów specjalizacji nauczycielskiej Wydziału Anglistyki UAM, a także współpracę z nauczycielami opiekunami praktyk ze szkół. Spotkania, zaplanowane na czwartkowe popołudnia, koncentrują się na konkretnym temacie, który jest omawiany podczas warsztatu/prezentacji/prelekcji przeprowadzonej przez doświadczonego praktyka: nauczyciela lub pedagoga. Spotkania mają być również okazją do wymiany doświadczeń i spostrzeżeń z praktyk pedagogicznych, a także prezentacji ciekawych materiałów do nauczania języka angielskiego. Podczas każdego spotkania uczestnicy otrzymują artykuł dotyczący dydaktyki języków obcych, z którym mogą zapoznać się przed następnym spotkaniem. Jeżeli chcesz być coraz lepszym nauczycielem, dołącz do nas! 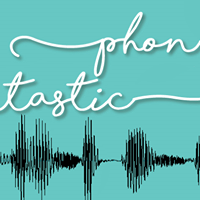 Phontastic is a reading group organised by the PhD students from the Department of Contemporary English Language and is strictly connected to Phon&Phon, but it eliminates the intimidating factor of its older sibling . It is aimed at BA and MA students only, who are interested in phonetics and phonology and its main objective is to familiarise the students with the current issues in these branches of linguistics, present and discuss newest studies, talk about the methodology of phonetic and phonological research, and broaden our knowledge of the quirks of sound structures of human languages in an informal setting. Phontastic is also on facebook: http://facebook.pl/phontasticWA. Phontastic to koło naukowe organizowane przez doktorantki Zakładu Współczesnego Języka Angielskiego i jest ściśle związane z Phon&Phon, ale likwiduje jego onieśmielający element. Koło to adresowane jest jedynie dla studentów studiów licencjackich i magisterskich, którzy zainteresowani są szeroko pojętą fonetyką i fonologią. Jego głównym celem jest zaznajomienie studentów z najnowszymi problemami tych dziedzin językoznawstwa, omawianie i prezentowanie najnowszych badań, dyskusja dotycząca metodologii badań fonetycznych i fonologicznych i pogłębiania wiedzy na temat struktur dźwiękowych naturalnych języków w bardzo nieformalnej oprawie. Phontastic znajdziesz również na facebooku: http://facebook.com/phontasticWA. WAME (WA Musical Ensemble) was formed at the Faculty of English in February 2014 by two PhD students, Mateusz Jekiel and Kacper Łodzikowski. Its current line-up includes six students and teaching staff members. WAME convenes regularly for rehearsals, honing its repertoire of cover songs, which span from the 1970s rock classics to the 2000s radio pop hits to the contemporary downtempo and alternative tracks. In May 2014, WAME debuted at the WA Absolutorium at Adam Mickiewicz Concert Hall with a three-song show, returning a year later to perform with a special guest appearance by the Faculty of English Deputy Dean Radosław Dylewski on bass guitar. In December 2014, the band was invited to play at the Faculty of English Christmas Special Party for staff members. The eight-song set that night included popular Christmas radio hits: “Last Christmas”, “Driving Home For Christmas”, “Merry Christmas Everyone”, and “Christmas Time”. In March 2015, WAME gave a 30-minute concert as part of a charity event at Good Time Radio Café & Lunch in aid of a 10-year-old suffering from multiple sclerosis. In May 2015 and 2016, WAME performed as part of the two-day CIN_ART Festival held annually at Collegium Iuridicum Novum. The band is currently working on its own original material. Subscribe to WAME’s Official YouTube channel here. Follow WAME on Facebook here. See also WAME announcements on this website.